On January 30th, leaders from South Bronx Churches and Manhattan Together held relational meetings with most of the 100 immigrants who came to a legal clinic hosted by the SBC member organization, the Mexican Coalition. Many of these immigrants were eager to build power to make positive change in their communities and beyond. This is the first of several such immigrant focused relationship building events planned for Manhattan and the Bronx over the next two months. Working with members of the County Council, People Acting Together in Howard (PATH) leaders organized a 1,200 person action January 29 in support of a bill that would make Howard County a Sanctuary County. At the action, over 300 people committed to hold house meetings in their communities to understand the challenges facing immigrants today. ....Llumi says NYCHA has done nothing but give her the runaround since Memorial Day. “They send someone who looks at the problem, who says they’re going to send someone else to fix it, and that’s where it stays,” she said. Under that apartment, the stove also sits right below an alarming gash in the ceiling where the recurring drip has eaten away the plaster. Tenant Barbara Solomon says the stove “pops and sizzles” when rain hits the outlet that feeds it juice. “They damaged the inside of the building when they were fixing the outside of the building,” said Solomon, who recounts numerous calls in vain to management requesting repairs. Solomon says NYCHA told tenants roof repairs are in the works — but not for the immediate future. Tenants say NYCHA has done nothing all summer to plug the leak they apparently created. As a result, every time there’s rain in the forecast, tenants in a column of apartments below Llumi’s get out their impressive collection of plastic buckets. “Too often, NYCHA doesn’t show up, but even where they are supposedly fixing things, the repairs are usually so ineffective that nothing is really resolved or the problem even gets worse,” Stanley said. What is at stake: Ensuring elected leaders sided with families in their fight against market forces to secure affordable housing and job training. A proposed light rail project has significantly increased property values and rent. These voices come from within the community and from City Hall, where Mayor Frank Jackson has become increasingly forthright about his determination to negotiate a meaningful and -- from his perspective -- fair consent decree with the Justice Department. The public's input is equally important, and it is heartening to see the Greater Cleveland Congregations, a collection of faith communities, join the dialogue over police reform. They've made a number of recommendations they would like included in a consent decree. 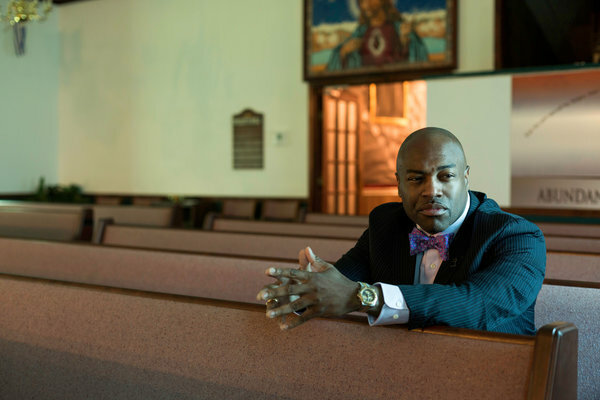 "We see a chance to seize an opportunity, an opportunity to shape changes within the Cleveland police department," Louise McKinney of the Greater Cleveland Congregations said last month during a gathering at Olivet Institutional Baptist Church, where her organization handed over its proposals to Jackson and U.S. Attorney Steven Dettelbach. Many of the GCC's suggestions make sense, including a greater push toward bias-freepolicing, more diversity on the police force, improved hiring practices and a commitment from both the Justice Department and the city to help pay for the much-needed reforms. In the wake of the April 2013 attack, which killed three and injured nearly 300 others, it quickly became public that Tsarnaev had embraced a radicalized strain of Islam -- sparking a national discussion about homegrown terror that has only intensified since the rise of the Islamic State group in the Middle East. 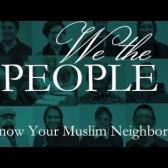 The Muslim American community felt a backlash. Anti-Islamic hate crimes made up13.7 percent of all hate crimes in 2013, compared to 11.6 percent in 2012 -- an increase Pew Research blames in part on the Boston marathon bombing. The Islamic Society of Boston's mosque in Cambridge, Massachusetts, where Tsarnaev and his older brother had reportedly attended services, came under fire in the aftermath of the bombing. Some accused the mosque and its affiliated Islamic Society of Boston Cultural Center of fostering extremists, an accusation to which local faith leaders have roundly objected. "ISBCC has responded to allegations," said Burns Stanfield, pastor of Fourth Presbyterian in Boston and president of the Greater Boston Interfaith Organization. "I'm convinced that the charges are not accurate." Stanfield has built relationships with a wide array of Boston interfaith leaders over the years, he told HuffPost over the phone. After the bombing in 2013, the leaders quickly fell back on these relationships to address the community's need for healing. GBIO hosted an event in a church basement shortly after the bombing, inviting community members to reflect on the ways in which violence of all types affected their lives. "At the end we turned to our neighbor and prayed with one another," Stanfield said. "That was really powerful." Almost a year later, GBIO gathered 250 interfaith advocates at the Cambridge mosque to discuss "restrengthening" the community. When the call to prayer sounded, Stanfiend recalled, Muslims and non-Muslims alike took 10 minutes to pray and reflect in their own ways. "It was a very moving moment of just being quiet and being in respect with the way our partners lived their life of faith," he said. "It speaks to what we consider to be the longterm work of knowing each other and trusting each other and building relationships." 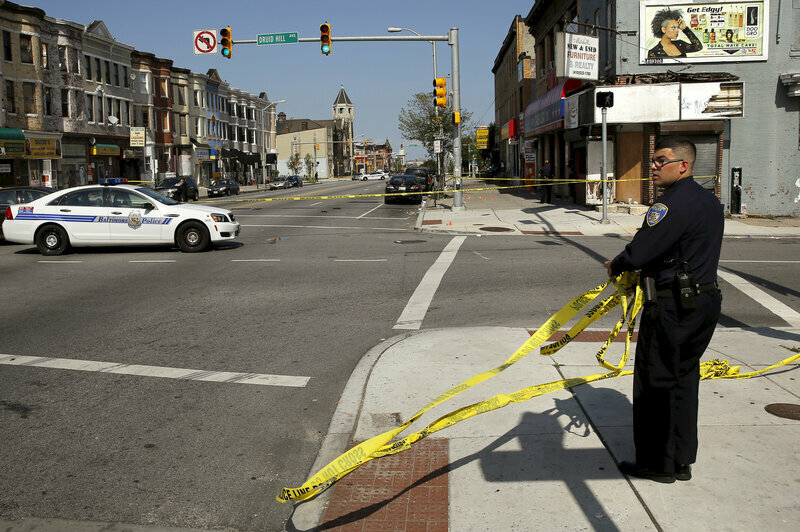 ...Low-income communities of color are faced with a long-standing dilemma. At one extreme, we are underpoliced. You call the police, and they take their time arriving — or don’t show up at all, leaving our communities to fend for themselves. At the other extreme — the one that has now erupted into view — we are overpoliced. We call the police, and they show up primed for battle, uninterested in distinguishing friend from foe. Case in point: Six armed officers confront an unarmed Eric Garner and can’t manage to arrest him without a take-down that proves fatal. To be fair, most of our experience with the NYPD happens between these extremes. Many of our congregants’ interactions with NYPD officers are positive. But the extremes persist — in parts of New York and nationwide. ...One huge difference between their daily situations and those of their American counterparts: Cops in the U.S. face heavily armed populations. Unlike in Europe, where gun ownership is restricted and carrying a weapon is virtually unheard of, a police officer in the United States never knows when he or she will encounter a person with a gun who is willing to use it to avoid arrest. Ask any cop about their greatest fear — better yet, ask any cop’s spouse — and you will hear the same answer: getting shot. European cops have no such fears. For decades, we’ve had a domestic arms race in the U.S., driving police to equip themselves with greater firepower. We must de-escalate this arms race. It’s why we’ve asked Mayor de Blasio to sign onto our campaign and join 67 other jurisdictions to use their combined purchasing power to promote dramatic change in the gun industry. Durham, home to Duke University, has a rich history of civil rights and social movements, a legacy reflected in the well-organized coalition that pushed for changes. Activists agreed not to call for the resignations of any police or city officials, who could be replaced with more politically savvy executives who might still resist changes. They pressed instead for systemic changes no matter who was in charge. Written consent to search, they said, would reduce disparities and end coercive tactics that the police used to search even in the absence of true, willing consent. In city hearings and at news conferences, the activists paired abuse allegations with the search data. Orange County Justice United is organizing alongside a team of low income residents and religious leaders to address the substandard living conditions in Gateway Village, a 64 unit Section 8 development in Hillsborough, NC. Residents and religious leaders have canvassed every unit in the development and held a series of community meetings to identify 13 top concerns - which include serious issues around health, safety, and inadequate management. A team of leaders presented resident demands to Gateway Village Regional Manager Debra Iafrate on Tuesday, November 2. In the coming weeks Justice United will bring the owner of the development (Robert Diedrich of Bloomfield Hills, MI) to the table for negotiation. DURHAM — At a gathering of nearly 500 people this week, Durham CAN members applauded changes in Durham Public Schools and the Durham Police Department that the organization has helped negotiate with officials. The police will now be required to get written consent before searching vehicles, said Mark-Anthony Middleton, pastor of Abundant Hope Christian Church and a member of CAN (Congregations, Associations and Neighborhoods). “Durham is now a national model for what it looks like when citizens that are informed, committed and organized get together to do something,” said Middleton, who led a CAN coalition to address race in policing in Durham. CAN also announced at Tuesday night’s assembly that after meetings with new Durham Public Schools Superintendent Bert L’Homme, the district’s universal breakfast program will be expanded to all schools. CLICK HERE for more news coverage in the Herald Sun. CLICK HERE for more news coverage in The Triangle Tribune.